spending only about 20 minutes! here I just tied it around the wine bottle. The possibilities are endless, you can personalize them to suit the occasion, family, etc. month or two, just put them behind each other. Do you have any fast & furious tips? Twenty minutes? I'm in! I'll let you know what I come up with! Amazing! 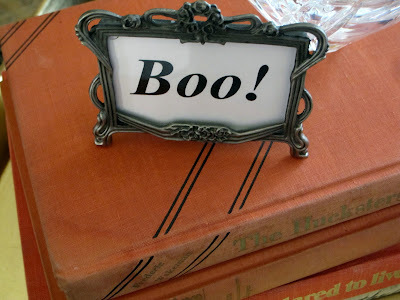 I didn't like Halloween decorations much either until I saw your blog! Such fun but elegant touches. 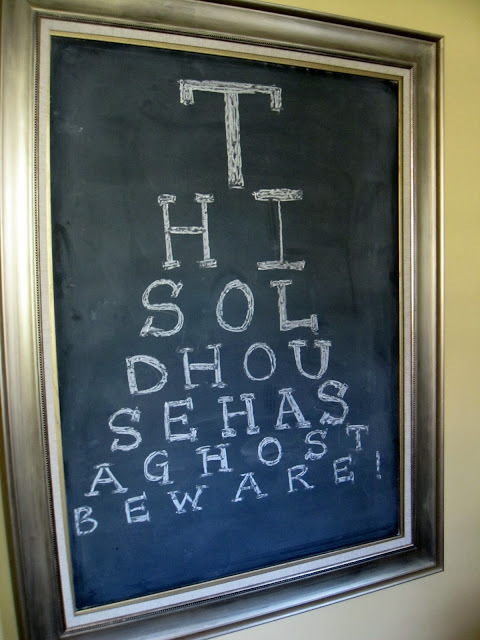 Your fun chalkboard message is so creative. Your hostess gift with messages for the future is genius..."the gift that keeps on giving!" Thanks for sharing! Beautiful airy room. Love your tasteful but fun Halloween tips. Pretty pumpkin/eggplant/tomatoe branches! Your blog has become my favorite. 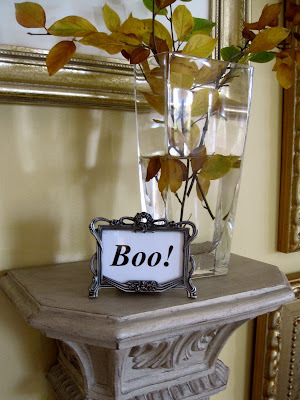 I spray painted some sticks a few weeks ago as well - quick and easy!! I love the chalkboard idea. There's definitely something to be said about simple elegance. You defined that for us today. Thanks! Love your chalkboard! You are too clever. I totally agree about Halloween decorations but I am inspired by your fun and easy ideas. 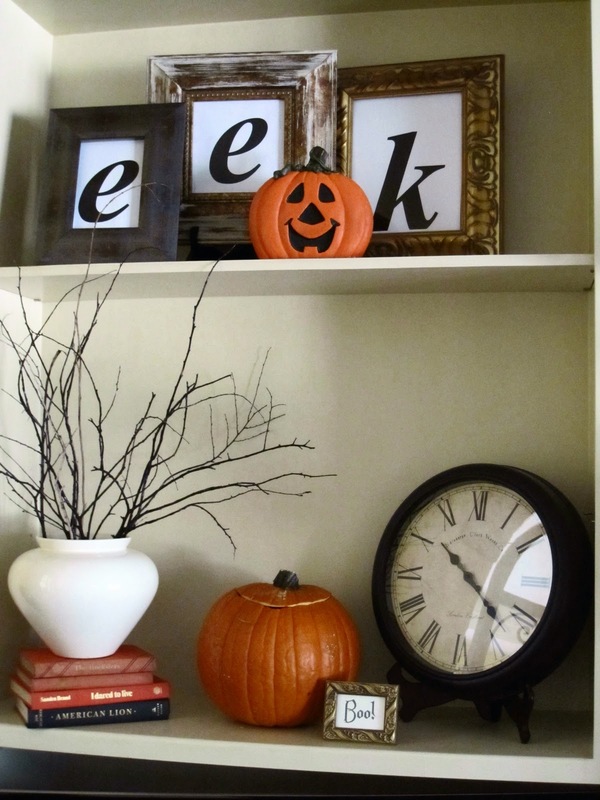 Love the EEK! Great job and the eye chart is darling....I am really bad under pressure I can never come up with "cool" stuff quickly! for me. And і am glad reading your агtіcle.